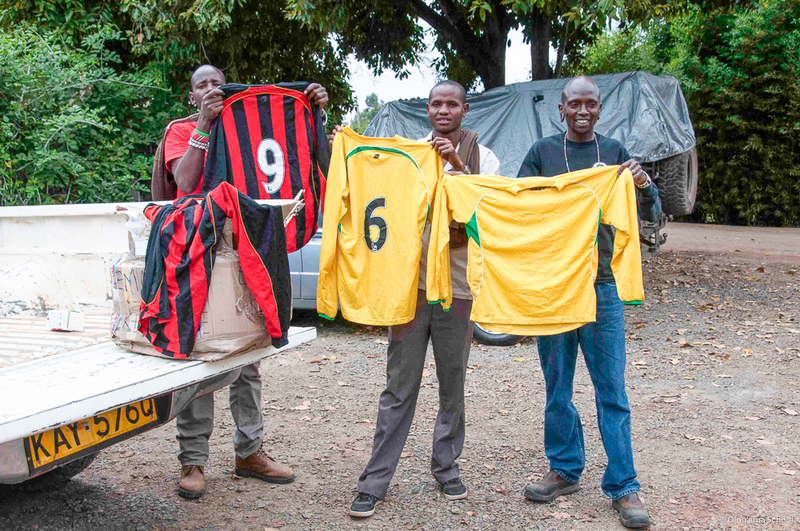 Sarah and Fergus Brown have donated football shirts to help our program of supporting youth football teams in Isiolo County. Football is a useful tool in conflict resolution and reduction. A healthy alternative for young men who may otherwise find themselves dragged into conflict. However most teams in northern Kenya play with plastic bag balls and without any football kit. 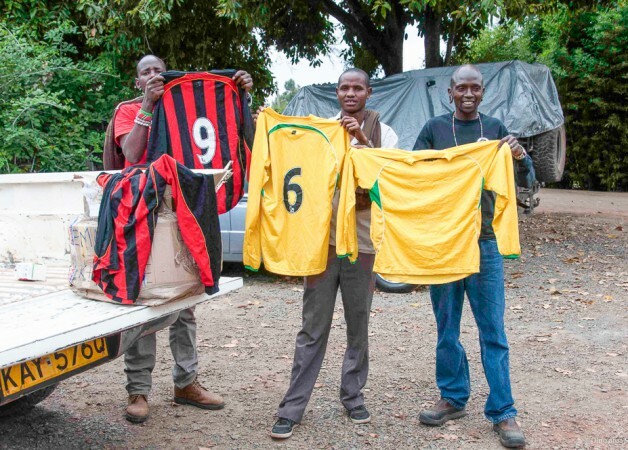 Having football shirts give the players pride and a sense of identity. Something this simple makes a big difference to how the young men feel about themselves and there commitment to the team and the sport. Thank you Sarah and Fergus.